SUMMARY: The 2014 General Aviation turboprop market did very well again with 603 aircraft delivered from 10 OEM’s (from 6 countries) down 6.5% from 2013. The delivery value was $US 1.887 billion down 5.6% from 2013, with 79% of all deliveries being single engine turboprops (474 aircraft), of which 26% were pressurized singles (157 aircraft) and 53% (317 aircraft) were un-pressurized singles which includes Agricultural aircraft (aka ‘crop dusters’) with 30% of all deliveries (181 aircraft). Twin turbine deliveries were 21% (129 aircraft) of all turbine deliveries (98% were King Air’s), the BIG winners were Textron Aviation with 221 deliveries (Caravan and King Air line), Pilatus with 76 deliveries (PC-12 and PC-6) and Socata with 51 deliveries (TBM900). The BIG losers were Extra (EA500) with 2 deliveries, Piaggio (Avanti II) with 2 deliveries and PAC (750XL) with 4 deliveries and these OEM’s have a highly questionable future ahead with such low production rates and owners risk having an ‘orphaned’ aircraft (out of production with no support and little resale value). Only 5 of the 10 OEM’s are US based BUT only 3 of the OEM’s are actually US owned, and 6 out of the 10 OEM’s produce only one turboprop model with 10 new programs in the works, including 4 high speed pressurized turboprop singles and 5 un-pressurized twin turbine aircraft (4 of which are “revivals” from the past, so only 1 “new” twin model). The new models are ‘hoping’ to enter the highly risky GA market shortly, though few of them will ever make it all the way to certification, production and successful commercialization, you need lots of money, have the right people in place and most importantly a product the market actually ‘needs’ ! 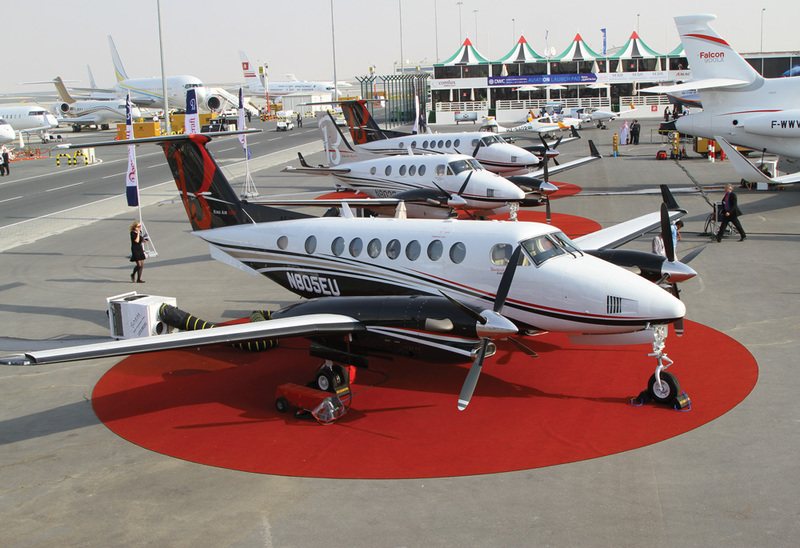 The numbers are in for the production of general aviation (GA) turboprops in 2014, and while the year was slightly down from 2013 it was a good year with 603 produced for a net value of $US 1.887 billion between 10 OEM (original equipment manufacturers) presently located in 6 countries. I will closely examine the winners and the losers and as well what new products are planning to come into the market, and how they may realistically do commercially. In my many years in the aviation industry, I have learned many things, the most important thing is that no matter what any aircraft OEM thinks about its product, it is the market that will decide how good it is, and you can judge how good any aircraft OEM by its sales performance, in general aviation (GA) that is even more true than in the big commercial aircraft market. IF sales are good, the market thinks highly of the value proposition you are offering (e.g. King Ar line), IF sales are poor than you have a problem with your value proposition, the aircraft at the price you are selling it, is not appealing versus other competitors, you need to know what the market really ‘needs’ not just’ wants’, a lot of people ‘wanted’ VLJ (very light jets,) in the end the demand was not as predicted and today only one VLJ (Cirrus ST-50 Vission) is left to serve the needs of that segment. As far as the market in 2014, it was off from 2013 by 6.5% in unit terms (645 vs 603), and off by 5.6% in $US value terms ($2.000 billion vs $1.887 billion). I will examine the market, the 4 segments which the 10 OEM’s serve and then look at the 10 new turboprops being worked on and ‘hoping’ to be in production by 2018. Of the current 10 OEM’s, there are 18 different turboprop models being produced, though 6 OEM’s produce only 1 model while the remaining 3 OEM’s produce 11 different models. Of the 603 turboprops delivered in 2014, 129 were pressurized twin turboprops (21% of total share), 474 single engine turboprops (79% of total share) were delivered, and of those 155 (26% of total share) were pressurized, 319 (53%) were un-pressurized, and of those 181 (30% of total share) were Ag aircraft used for agricultural spraying, firefighting to military COIN (counter-insurgency operations). The ownership of the OEM’s is interesting, and probably will surprise a few of you readers, but today of the 10 OEM’s only 5 are based in the USA (Air Tractor, Piper Aircraft, Quest Aircraft, Textron Aviation and Thrush Aircraft), but 2 of those are foreign owned as Florida based Piper Aircraft is owned by the Ministry of Finance of Brunei Darussalam (SE Asia on island of Borneo) and Idaho based Quest Aircraft was just acquired by Japan’s Setouchi Holdings. So you have only 3 USA owned GA turboprop manufacturers today, Textron Aviation (merger of Cessna and Beechcraft in 2014) and the two Ag aircraft manufacturers Air Tractor and Thrush Aircraft, and 3 of the 10 new turboprop projects are coming from US owned companies (Textron, Kestrel and Frakes Aviation). In a future article I will discuss my Customer Relative Value to Price Analysis (CRV), which values each aircraft’s Value/Utility based on offered utility, performance, technology, cost of ownership and service/support versus its price point, this allows for a very good comparison of aircraft based on relative performance, relative price and customer value. The analysis has a very good correlation to sales success the higher the CRV to price the better the sales are. The turboprop market can be divided into 4 segments today, only 3 are currently being contested, while the 4th segment is going to be contested by several ‘hopefuls’ in the next 2-3 years. 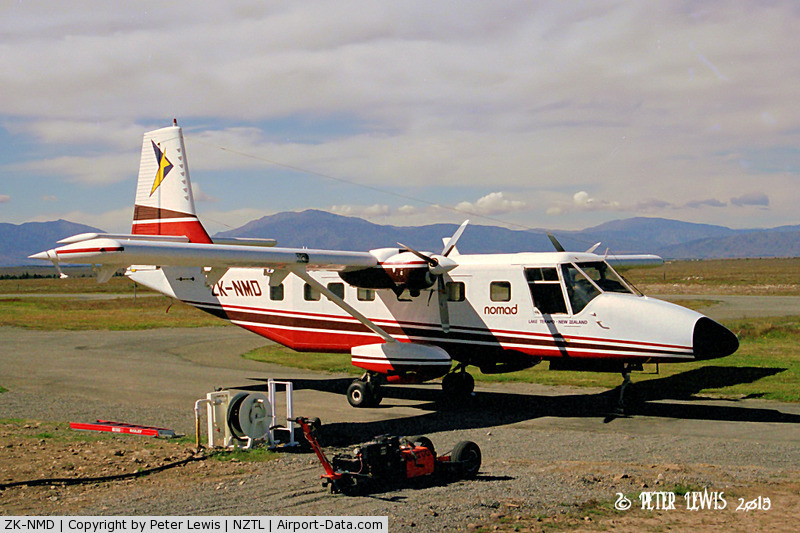 This segment is made up of generally utility aircraft and agricultural aircraft, and today it includes Air Tractor – agricultural/firefighting/COIN aircraft (USA), Pacific Aerospace – PAC750XL (New Zealand), Pilatus – PC-6 (Switzerland), Quest Aircraft – Kodiak 100 (USA), Textron Aviation – C208/208B (USA) and Thrush Aircraft – agricultural/firefighting/COIN aircraft (USA). 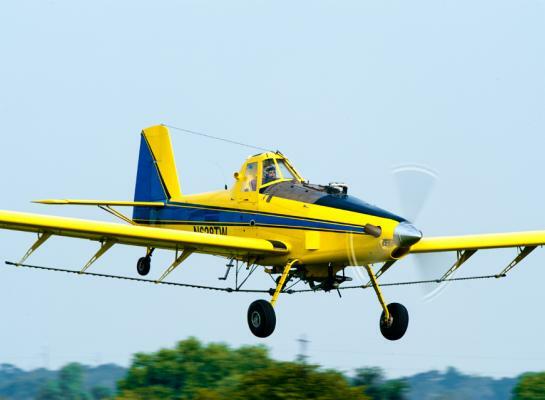 As a former Ag pilot, I am thrilled to see that the market is doing well, these aircraft today are $1.0+ million high tech aircraft with high powered turbine engines, GPS guidance for spraying and computer controlled nozzles for precise volume control and even air conditioning ! it sure beats the old days of dropping red markers and ‘estimating’ volume and spray distribution while sweating all day long. In 2014, the 6 OEM’s in this segment delivered 319 units (53% of the deliveries) and in value $ 512.9 million (27% by value). Average value per aircraft is $1.61 million in this segment. Presently no un-pressurized twin utility turboprop is produced, but that absence has spurred 5 aircraft projects that are being proposed between now and 2018, of which 3 are updates to previously produced aircraft, 1 is an aircraft that never went into production and the 5th is an all new model being certified in Europe today. I will discuss these models further down in this article. NOTE: While not covered by GAMA figures and in my analysis, the Canada based Viking Air 19 passenger DHC-6 Series 400 Twin Otter is in production today at a rate of around 24 units per year at a price of $US 7.5+ million per unit (so $ 180+ million in value per year). In this segment there are currently 4 OEM’s, Extra – EA500 (Germany), Pilatus – PC-12 (Switzerland), Piper – Meridian (USA) and SOCATA – TBM-900 (France). In 2014, the 4 OEM’s in this segment delivered 155 units (26% of the deliveries) and in value $ 565.1 million (30% by value). Average value per aircraft is $3.65 million in the segment. In this segment there are currently only 2 OEM’s, Piaggio – Avanti Evo (Italy/UAE) and Textron Aviation (USA) with the ex-Beechcraft line of King Airs C90GTX, 250, 350i and 350ER’s. In 2014, the 2 OEM’s, really 1 as Piaggio delivered only 2 x Avanti’s last year, but 127 units were delivered (21 % of the deliveries) with a value of $ 863.2 million (46% by value). This is the BIG market where Textron Aviation is unchallenged and where margins are very good. Average value per aircraft is $6.80 million in this segment. Let’s look at the manufacturers, and how they are doing, and what the future holds. 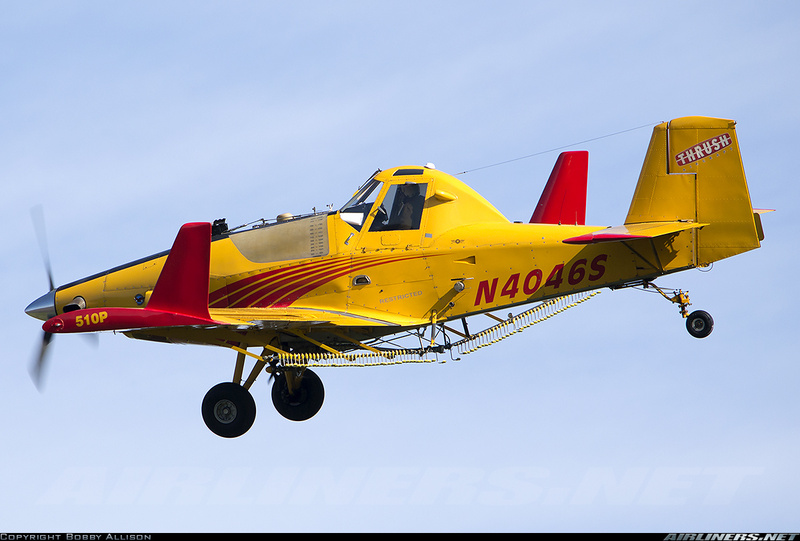 Air Tractor (USA), this long time PT6 powered agricultural aircraft manufacturer has grown over the past 10 years and in 2014 delivered 145 units valued at $171.1 million (2013: 174 deliveries valued at $200 million NOTE: GAMA used a WRONG $68.6 million in delivery value). 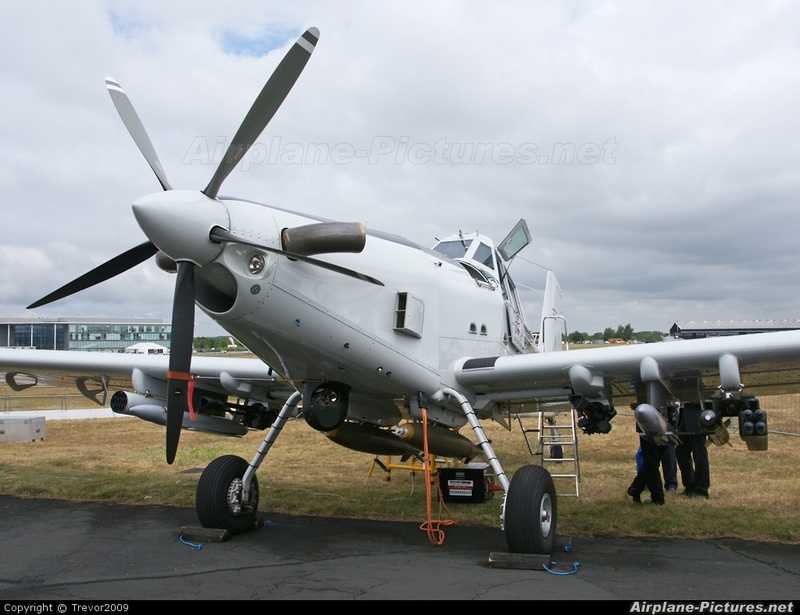 The money is in its popular AT-802 models (46 delivered and roughly 50% of value) which range from the AT-802A $1.6 million 800 USG aerial spray aircraft to the $2.0+ million AT-802F Fire Boss firefighting aircraft and the AT-802U a heavily armed and bullet proof COIN (counter insurgency) military aircraft delivered to US, UAE, Gambia and Burkina Faso military forces. Lots of markets still to tap from Ag aircraft, firefighters to COIN. Extra Aircraft (Germany), still struggles with its EA500 certified in Europe in 2006, and sold in May, 2014 to China’s Jiangsu A-Star Aviation Industry (read my blog of March 30, 2014 about Chinese companies in the US GA market), which wants to produce the aircraft in Zhenjiang, China in 2016 after FAA certification is obtained. In 2014, only 2 EA500’s were produced for a value of $3.5 million. 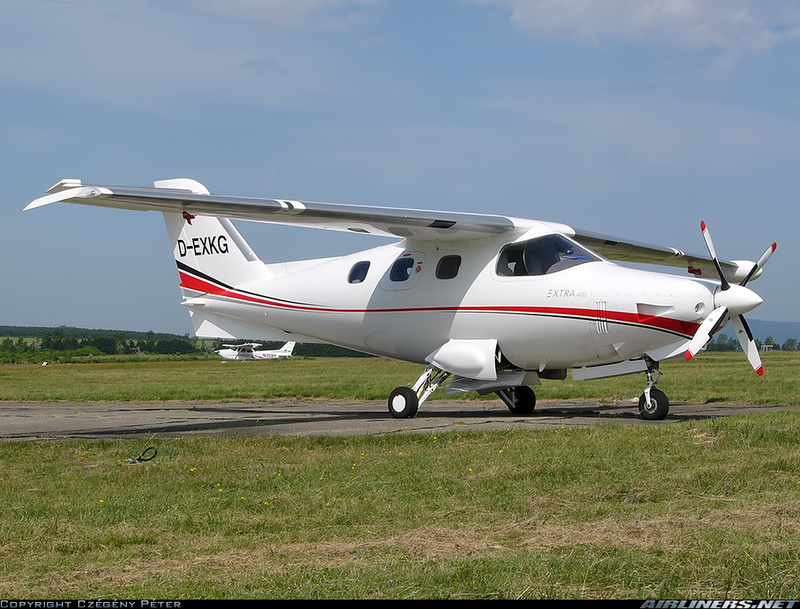 The EA500 is a six seat aircraft, powered by a RR250, cruise is 226 kts and range is 1,600nm. With only 5 EA500’s built in the past 3 years, let’s hope FAA certification comes soon, it will compete with Piper Meridian at the low end of the single engine segment. I do not see much potential for the aircraft, it is at the low end of the turboprops in price at $1.75 million, so $500,000 less than Piper Meridian, but 35 kts slower, my estimate is 10-16 units a year at best. Pacific Aerospace (New Zealand), also struggles with its PAC750XL, which in 2014 had its lowest production since it started in 2003 at only 4 units or $7.2 million in value. Since 2003 PAC has delivered 103 of its PAC750XL 10 seat utility, the highest production was 15 in 2008 and has been declining since. The aircraft competes directly with the Quest Aircraft Kodiak 100 which had its best year in 2014 with 30 deliveries and now has new Japanese owners. 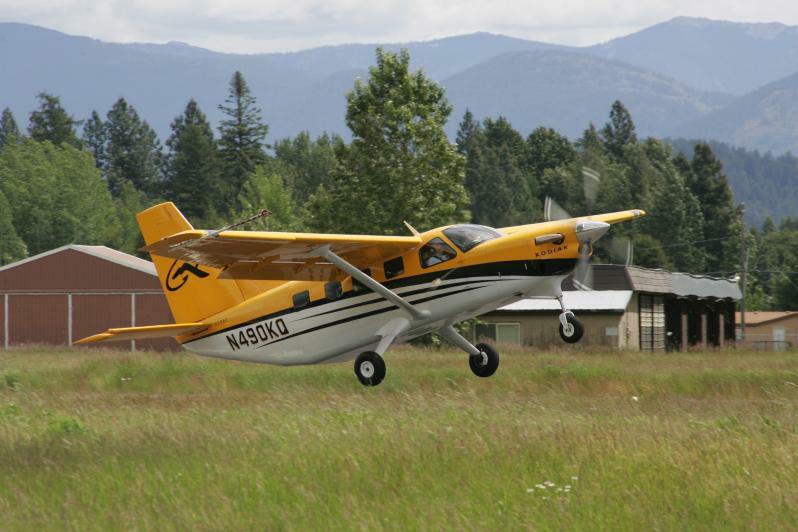 The STOL PAC 750XL is powered by a PT6A-34 engine, takeoff ground roll is only 721 feet (1,196 feet over 50 feet) at ISA, cruise is 169 kts, climb is 1,067 fpm with a useful load of 4,280 lbs (more than Kodiak and C208), the aircraft is a favorite with skydivers a market is has done well in. 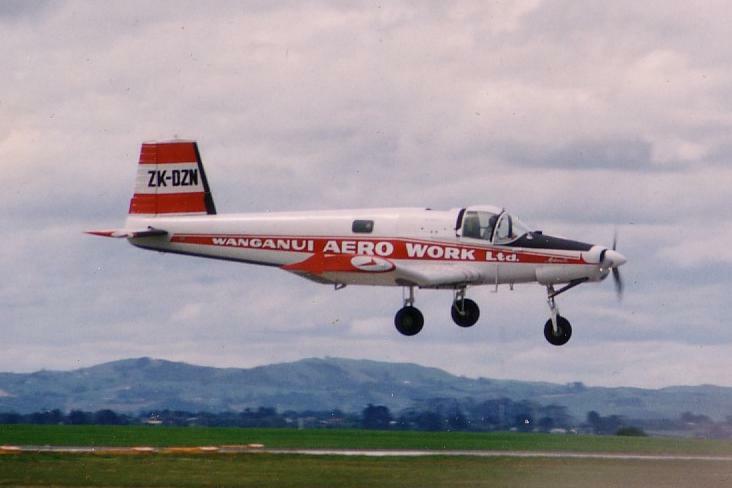 The aircraft is derived from the turbine PAC Cresco ag plane (TOP RIGHT PHOTO) (mostly fertilizer work in NZ) and 39 were built, and the Cresco was derived from the piston aerial top dressing FU-24 Fletcher (TOP LEFT PHOTO) of which 297 were delivered. The aircraft is built tough and has impressive performance, like the Kodiak it uses the PT6A-34 and gets better airfield performance, but 14 kts slower and the cabin may be slightly smaller than the Kodiak’s 254 ft3, I think it is worth checking out, and see no reason for it not to sell 20-25 units per year at least with better sales & marketing. PAC surely cannot continue producing the aircraft in such low numbers, it is too uneconomical and its future has to be in doubt at this time, as I always say, “hope is NOT a strategy”, doing the same thing over and over and expecting different results is NOT going to get you anywhere, change is needed or you close the doors and turn off the lights at PAC. 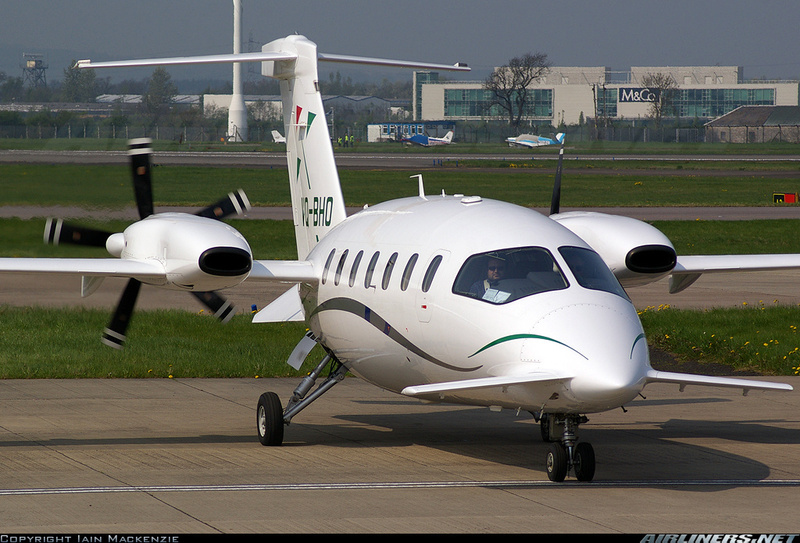 Piaggio Aerospace (Italy), what do you say about Piaggio ? 2 aircraft delivered in 2014 for a value of $14.4 million, only delivered 5 units in past 3 years, best year was 2008 with 30 units and downhill since. The company is lucky that it is 98.1% owned by Mubadala Development Corporation (Abu Dhabi, UAE) and 1.9% is left for Piero Ferrari, otherwise it would have been lights out a long time ago. The company is developing the Hammerhead UAV version of the Avanti, but with US approval for UAV exports this month, that market will be very tough to crack. The “new” $7.4 million Avanti Evo (for evolution) thinks it will sell a lot (5 bladed prop, redesigned cabin, 402 kts, 1,720 nm range), but it will NOT, reputation is tarnished and sadly the market has spoken, the King Air 350 has had 259 deliveries the past 5 years versus 34 Piggio Avanti II’s, that is in soccer terms, a ‘slaughter’ of 7.6 to 1, the market chosen the King Air 350’s over the Avanti, it just has little appeal today, even though it is faster (402 kts vs 320 kts), more cabin space (375 ft3 vs 355 ft3) and more fuel efficient (0.505 nm/lb vs 0.404 nm/lb), that a perfect example of a ‘better’ aircraft being outsold a ‘less capable’ aircraft, it all comes down to sales & marketing, NOT always does a better aircraft become the better selling aircraft, its all about value perception and positioning. The good news is that with Mabadala they are working on a new twin engine jet dubbed the P1XX. Eventually Textron Aviation will have the twin turbine pressurized market all to itself. Pilatus Aircraft (Switzerland), has come a long way, revenues in 2014 in total (commercial and military) were the best ever at $US1.2 billion (earnings $US 200 million) on 127 deliveries (76 civilian and 51 military trainers) and the 1,300th PC-12 has just been delivered, in 2014 Pilatus delivered 66 of the $4.64 million PC-12’s (PHOTO BELOW LEFT) valued at $306.3 million and surprisingly 10 of its $1.22 million PC-6’s (PHOTO BELOW CENTER) for a value of $12.3 million. The PC-12 continues to do very well as it has had the market between the utility Cessna Caravan to the smaller pressurized but faster TBM 700/900 all to itself. So well, that the company is moving towards a twin jet, the PC-24 (read my blog of August 6, 2014 on my views on the PC-24), which will offer a $8.9 million jet with a big cabin of 501 ft3 that compares to business jets 70% more expensive, a great selling point. 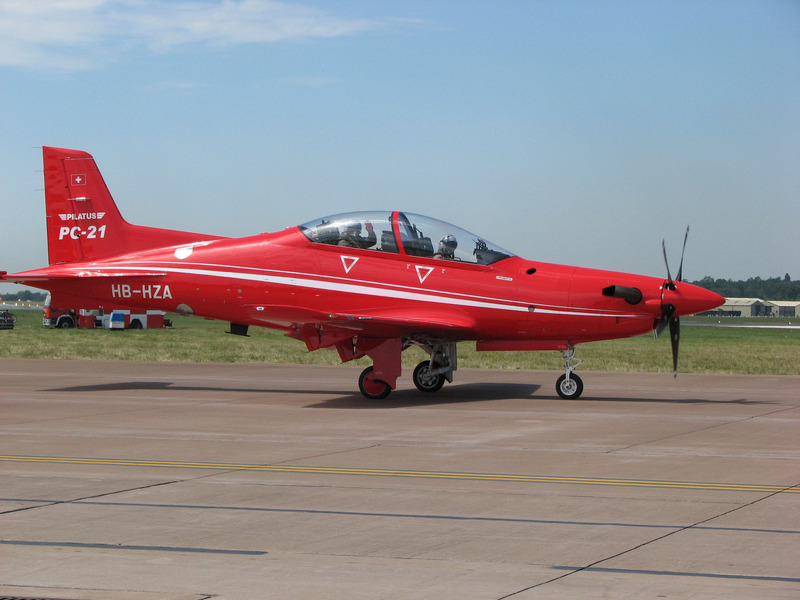 Pilatus has also done well with its military sales, and they just delivered their 100th PC-21 trainer/COIN aircraft (PHOTO ABOVE RIGHT). The 10 PC-6 deliveries in 2014 were the best in years (9 went to China), not a pretty aircraft but very functional and still sells, not bad for a 1959 design and still going strong, a true STOL aircraft able to carry 1,200 kg of payload and takeoff in 640 feet and land in 500 feet ! since 2007 44 have been delivered (8.2 per year average or roughly a $10 million a year in sales), showing there is still need for rugged STOL turboprops around the world. Piper Aircraft (USA), owned by the Government of Brunei Darussalam, Piper keeps plugging away, its piston line is 50 years old, but the $2.22 million PT6A powered Meridian holds its own at the bottom end of the single engine pressurized market with 30 deliveries in 2014 for a value of $66.57 million THE ‘cash cow’ for Piper. Deliveries have been constant between 25 and 36 since 2009, down from 2008 as most of the industry still is, just has never really recovered from the shameful banking crisis of 2008. 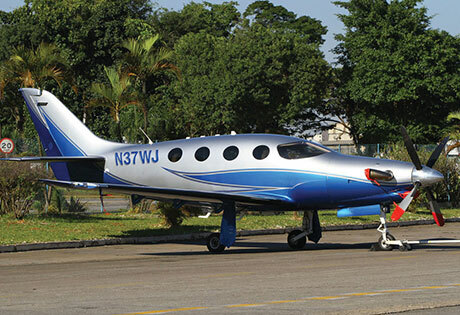 Sadly nothing new at Piper, the VLJ single engine jet project named Altair, was a huge disaster and I do not expect anything exciting from Piper anytime soon, they have the ‘new’ M500 version of the Meridian, just a little increase in weight and small upgrades for an extra $40,000 nothing excitingly new. Quest Aircraft (USA), just bought by Japan’s Setouchi Holdings part of the large Tsuneishi Group, engaged in transportation, shipbuilding and Quest dealer from last year. The company says it wants to be more than just a one product OEM. Deliveries in 2014 were 30 units valued at $58.4 million and it was their best year ever, though I think they could do better (40+ a year). The aircraft apparently appeals to the utility, passenger and VIP markets on a pretty even 1/3 split, and 3 different interiors options are available for each segment. It has wonderful airfield performance and competes with the Textron C208/208B, PAC 750XL and to a lesser degree the PC-6, and between the 5 models of single engine utility/passenger aircraft available today, 138 aircraft were delivered (23% share of deliveries) and valued at $305.8 million (16% share by delivered value), average vale per aircraft in this segment is $2.21 million. The utility turboprop market is well and alive and will be joined by the $1.3 million, 145 kts, 1,400 lb payload Gipps Aero/Mahindra Aerospace GA-10 by 2016. 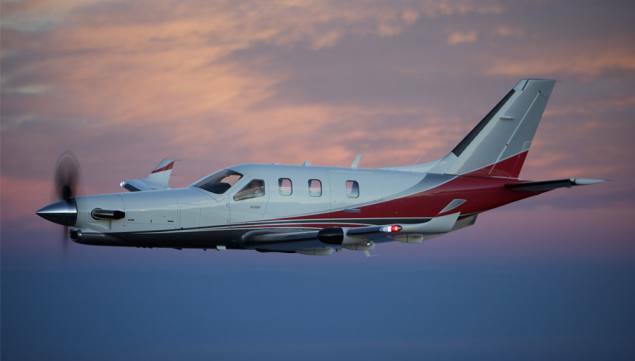 Keep an eye on Quest Aircraft, a new product will come out in a few years as they have expressed the desire to be more than a single product OEM, which 6/10 of the OEM’s in the turbine market are (PAC, Kodiak, Socata, Extra, Piaggio and Piper). 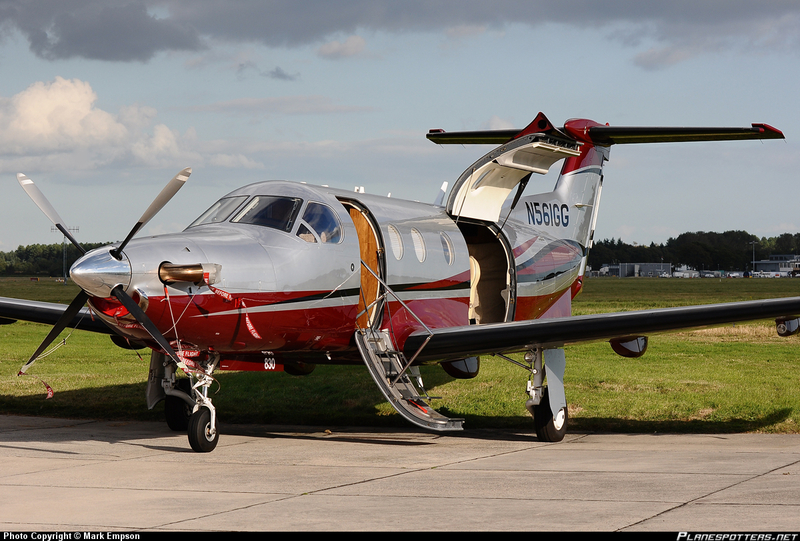 Daher-Socata (France) has had incredible success with its TBM 750/850 and now the new 900 for many years. The $3.7 million TBM 900with a PT6A-66D is fast at 330 kts, 20% better takeoff distance and 18 minute climb to FL 310 and range at 1,730 nm (with 0:45 reserves), it is competitive to light jets for sure. In 2014 51 TBM 900’s were delivered with a value of $188.8 million the best delivery since 2008 when 60 TBM 850’s were delivered. 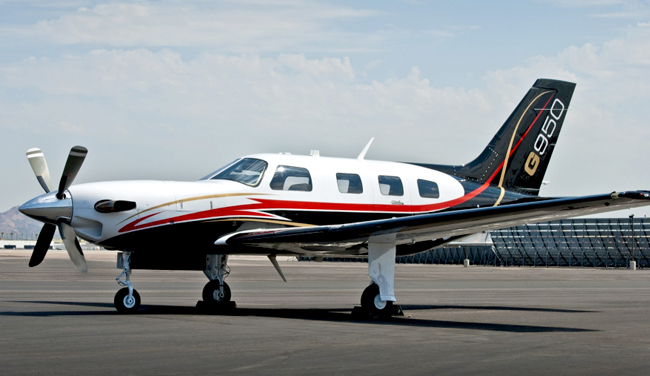 In the past 9 years Socata delivered 389 TBM 850/900’s a very impressive niche the aircraft has, it is the fastest single engine turboprop on the market and this segment has been all to itself, though two new projects aim to take that market away, the $2.75 million 325 kts the Epic E1000 and the $3.0 million 320 kts Kestrel K-350 are new comers, outcome is uncertain for both. Textron Aviation (USA), is the coming together of Cessna and Beechcraft two of the biggest brand name sin aviation, and now neither one exists. This is the GA turboprop power house today, the merger of the famous King Air line with the Caravan line. In 2014, Textron delivered 21 x King Air C90GTX’s, 35 x King Air 250’s, 71 x King Air 350i/ER’s, or 127 King Air’s valued at $863.2 million while 81 x C208B’s and 13 x C208’s were delivered, 94 in all valued at $227.9 million.Worth noting that the Grand Caravan (C208B) outsells the smaller Caravan (C208) 6.2 to 1, a sure sign that a bigger size and payload are important to many operators, this is the market the twin turboprop engined Evektor EV-55 is going after, and if Quest Aircraft is to develop a new single, it might be worth looking at a large 12,500 lbs MTOW single with maybe 18 passenger seats, a PT6A-67 engine (1,200 shp), +5,000 lbs payload and cabin volume of +550 ft3, able to operate from 1,800 foot airfields and cruise at around 190 kts-just a thought from my experience with many small operators. In total, Textron delivered 221 turboprops (37% of all turboprops) and delivery value of $1.091 billion (58% of delivered value). This is a huge company, and no surprise they may come out and have a pressurized single engine turboprop in the coming years to take on the PC-12 or TBM 900. Lots of life in the King Air and Caravan brands yet. 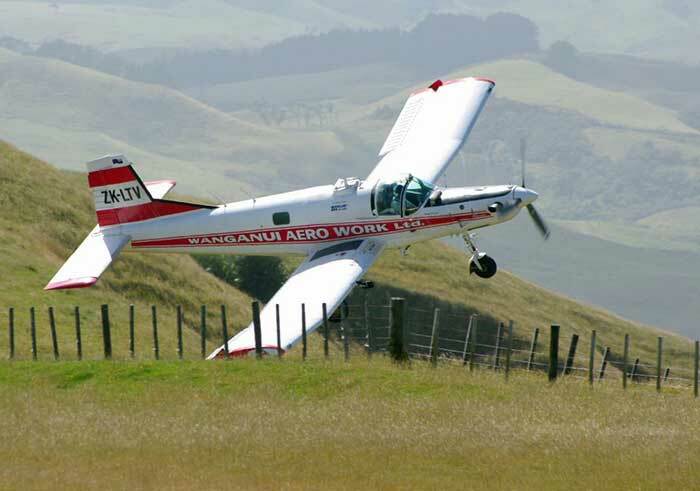 Thrush Aircraft (USA), last but not least another agricultural aircraft manufacturer, which delivered 36 turboprops in 2014 with a delivery value of $34.3 million. The top selling aircraft is the S2R-H80 which uses the newly certified (ex-Walter M601) GE H80 turboprop engine from the Czech Republic, a slowly developing new competitor to the PT6 line. Now, I will quickly go through the 10 new aircraft in development or certification that may or may not enter the market in the next 3 years. The success of any of the following will depend on having lots of money, having highly experienced people leading, certifying, producing, selling, supporting and marketing the aircraft, commercial success is VERY dependent on PRICE and each will have to have its unique value proposition on a product the market ‘needs’ now just wants if it is to survive in this competitive market, where already 3 out of 10 OEM’s are struggling to survive. This is a HIGH RISK business for any small OEM, get it wrong and you go bust ! and most new product launches DO NOT MAKE IT due to a lack of money, not really understanding the customer/market and not having the right people. EPIC E1000, the Russian owned (Engineering LLC) company bought the old EPIC company and exited the kit market to focus on certified aircraft. At $2.75 million the E1000 is fast at 325 kts, range 1,625 nm, FL 340, 4,000 feet per minute rate of climb due to its 1,200 shp PT6A-67A and light carbon fiber construction. Question mark on owners and financing as well as certification experience/know-how. Probability of Certification 50% and Sales Potential 20-30 per year IF certified. 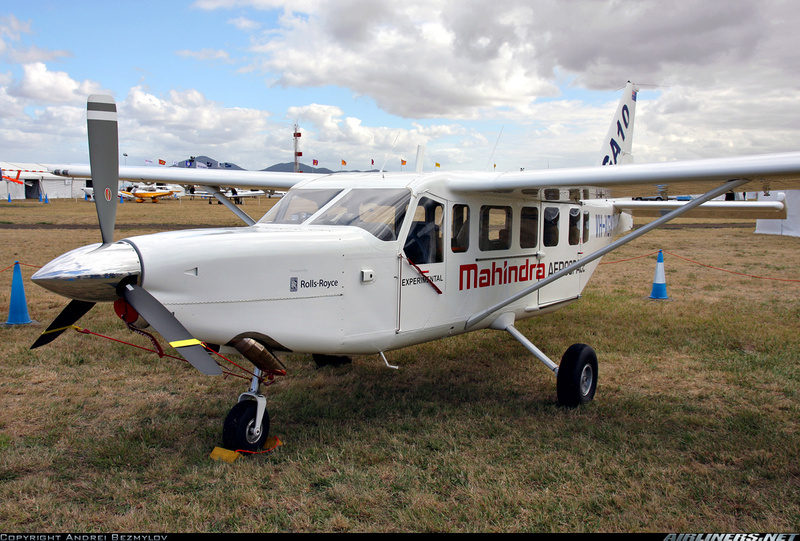 Gipps Aero/Mahindra Aerospace GA-10 out of Australia owned by India’s large Mahindra Group, $1.3 million price, 10 seats, un-pressurized boxy looking utility, only 1,400 lb payload ? RR 250 B-17 engine, 145 kts, 1,600 foot takeoff over 50 feet. Certification is taking its time, but it will happen sometime soon, the piston GA-8 Airvan has a lack luster reputation and rather poor sales history with only 67 delivered in last 5 years, partly due to poor sales & marketing. For some reason certification is taking a long time on the GA-10 and the longer that drags on, the more sceptical the market is, the biggest fear for any commercial operator when buying a new product from a small or less known company is to have an aircraft that goes out of production early on (‘orphaned’ aircraft), support is then limited and resale value drops significantly. Probability of Certification 90% and Sales Potential 15-25 per year with better sales & marketing. Kestrel K-350 of the US, TPE331-14GR powered, flat rated 1,000 shp, 320 kts and $3 million price. Program is going since 2006, money seems to be a problem. Probability of Certification 40% and Sales Potential 20-30 per year IF certified. 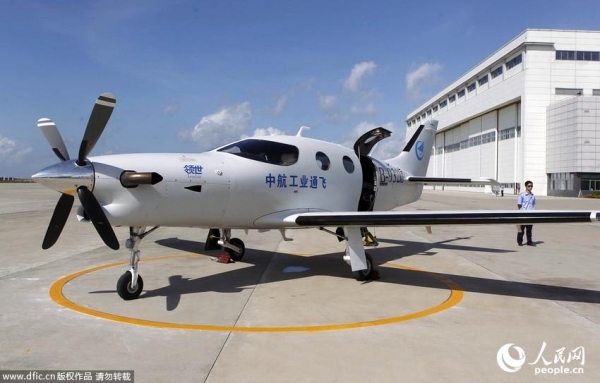 AVIC/CAIGA Primus 150 of China, it is a Epic Escape that was sold to China by Engineering LLC powered by the new GE H85 turboprop, only $1.25 million (? ), 352 kts (? ), FL 280, 1,410 nm range. Probability of Certification 10% and Sales Potential 5-10 per year IF certified. Cessna Concept Single, not sure where this program is now that Cessna and Beechcraft are together, as Beechcraft had its PD434 program also a fast single turboprop. All quiet at Textron Aviation, but it will have to stay below Citation Mustang thus no more than $2.8 million and less than 300 kts. Evektor EV-55 Outback, from the Czech Republic, (home of the LET-410 the most successful 19 passenger turboprop with 1,100+ built) is in certification now that investors from Malaysia have stepped in made a ‘takeover’ of the company, it should be complete by 2018 and this 10-14 seat twin un-pressurized turbine will compete with the Textron Aviation Caravan line and Kodiak 100 and replace the many cabin class piston twins still in commercial service. A program I know very well as I conceived the aircraft for a genuine market need, and is powered by two PT6A-21 engines (by now it should have more modern GE H75 or PT6A-135 engines) and maximum cruise is 220 kts, 4,000 lbs max. payload, 447 ft3 cabin and able to operate from air strips as short as 1,700 feet, and beats the Grand Caravan in all operational aspects. The Czech Republic has certified 1 brand new Part 23/25 aircraft in the past 26+ years out of 6 attempts, but NONE have gone inti production, ALL efforts to fund full certification/production/commercialization have ALL failed to materialize (e.g. LET-610G-regional 40 passenger GE CT7 powered turboprop airliner, IBIS-270-a 8 seat single engine turboprop with Taiwan, Wolfsberg 257-a 10 seat piston twin with rear loading door, Ayres LM-200 Loadmaster- large twin engine turboprop driving a single prop freight hauler for launch customer Fed Ex, Evektor VUT-100 Cobra-a 5 seat piston single, Zlin Moravan Z-400 Rhino-a 7 seat STOL single with a Orenda V-8 engine). Those above mentioned failures are a prime example of NOT properly defining the aircraft for a specific market segment NEED and understanding your market and prospects, and “HOPING” there is a market for whatever it is they are offering, NOT having enough money to finish certification and NOT having the management, breath of qualified people skills and experience to get things done, so its a long shot, but the $US 3.0+ million EV-55 aircraft itself has much market potential, and money they have from Malaysia to at least finish certification. But management, production and certification is highly suspect at this point, and I think in the end, the EV-55 will end up in China after certification, around 2018. The Czech tax payers put in millions of dollars into the aircraft in R&D funding, but most likely this program will not benefit the Czech Republic in the end. The Tecnam 2012 will prove to be a very good low cost competitor (mogas/Avgas powered TEO 540-A1A engine, 10 seat twin, 170 kts cruise, 2,481 lbs payload, fixed gear), and has been selected by Cape Air (USA) to replace its large fleet of Cessna 402C’s. The lack of certification knowledge by this OEM and the new owners, really puts the program into question, certification is a complex, time and capital consuming process that more often than not many new OEM’s have failed to achieve. They claim a big advances in their certification process, don’t believe it, kick off meeting with EASA was only in March, 2015 and the previous 220 flight hours of flight testing will have to be re-done so at best 4 years IF they had experience with certification. Certification probability is less than 20% as the new Malaysian owners have NO experience in Part 23 certification/production and the Czechs have certified only 1 Part 23 aircraft in 50+ years (Ibis 270), but it never went into production because it had no use, to small (8 seats) and slow to compete with PC-12 and smaller payload and volume to compete with Cessna Grand Caravan, stuck in the middle, it was a USELESS project funded by Taiwan. The EV-55 Outback is going to be another failure in my opinion, from the top down it is the “blind leading the blind” on this program, and I have no confidence in this program. The aircraft is good and in a perfect world it has market potential of 25-35 units per year with a competitive price, good sales, marketing, support and a global dealer network, and that is asking a lot from this Malaysian owned OEM, as with no certification experience and know-how coupled to no experience in Part 23 aircraft sales, marketing, product support and production this program is sadly doomed, wait and see I guess, but 95% of the time I have been right on predicting success or failure on these new programs. 7. Dornier CD2 Seastar (Germany), the program was sold last year to China last year, status unknown, but it has been around for 27 years now and having been Marketing Director in the early 1990’s, I see little success for this aircraft, but Conrado Dornier does not give up, the aircraft is powered by a pair of PT6A-135’s and seats 14 with a cruise of 180 kts. 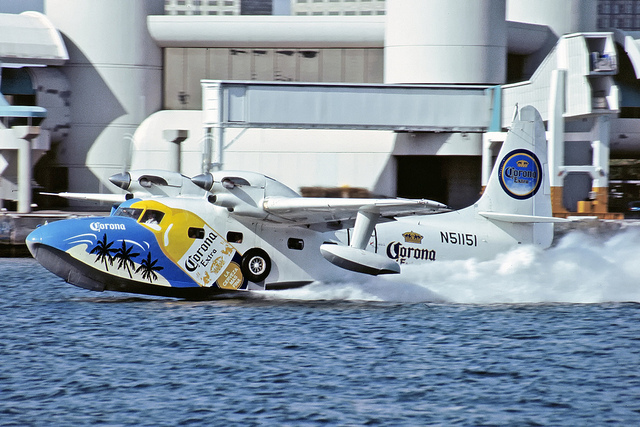 It had poor water handling as the tandem engines provide little asymmetric thrust which is a must on water. Certification probability is 20% and market potential is 5-10 per year at best IF certified. 8. Frakes Aviation G-73T Turbo Mallard, from the USA, it is a re-engined G73 Grumman Mallard, 13 were originally converted to turbine with PT6A-34’s and now it is trying to put the whole aircraft into production, like Viking Air did with the DHC-6 Twin Otter. I was involved in a revival attempt in the mid-1990’s in Czech Republic, but certification issues on Type Certificate and the STC made it problematic at that time, the aircraft would do well at a reasonable price. It is certified, but challenges remain to bring back a 60 year old design from the dead, market potential is very good at 12-18 units per year IF certified. 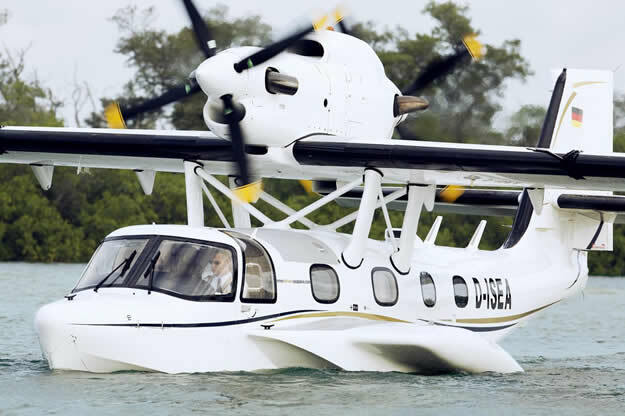 The global market can use a good 17 passenger amphibian today, from commuter operations to maritime and fisheries patrol. 9. 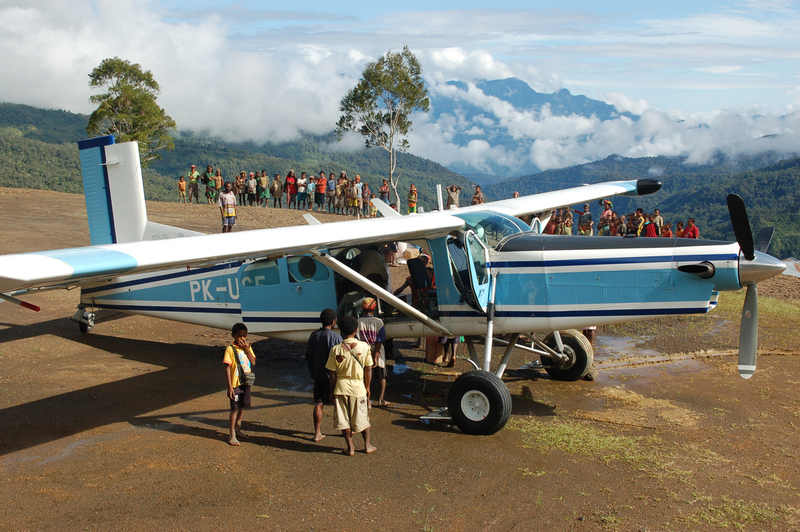 Gipps Aero/Mahindra Aerospace Airvan 18, plans to re-launch the GAF Nomad N24A (172 built), a RR 250 powered 18 passenger STOL utility twin able to cruise 173 kts and a payload of 4,000 lbs. payload. The aircraft would be a welcomed competitor to the $7.5 million Viking Air DHC-6 Series 400, as well as the Czech LET-410 and the Chinese Y-12E. 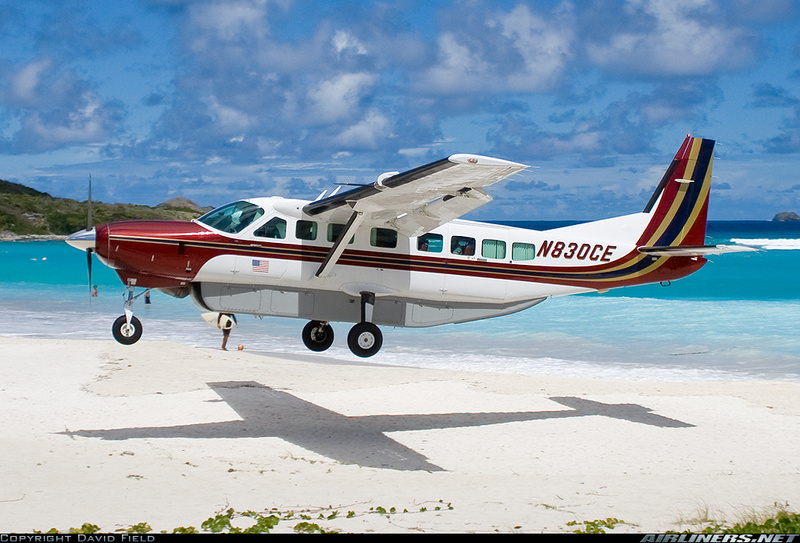 I think highly of the aircraft and it is certified, if priced well, it’s market potential is 12 – 20 units per year. 10. 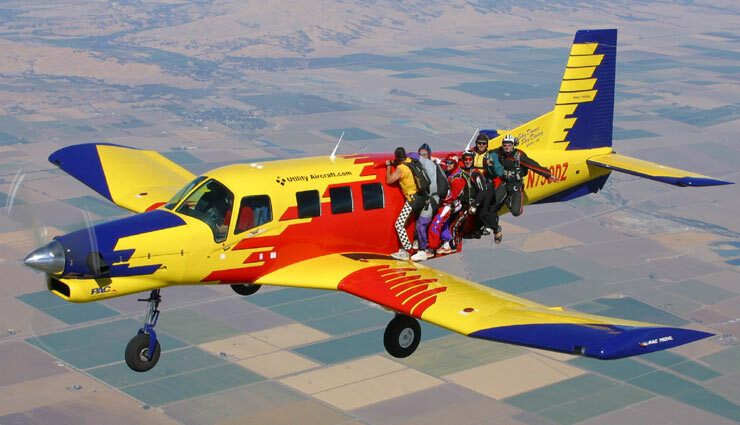 Continental Motors F406 (aka Caravan II) of the US, has bought the rights to the F406 basically a Cessna 404 Titan with PT6’s and carried 12 passengers. Never a big success, it was mainly used in maritime/fisheries patrol duties, now it will be put into production, though no news on that yet. It is certified and market potential is not big, small cabin, few seats, so at best 5 – 8 aircraft per year. Well that is my wrap up of the General Aviation turboprop market, it is a dynamic market and I look forward to seeing the new twin turboprops, it is worth noting that ALL 5 of the twins are un-pressurized, and with no utility built twin in the market today, the potential is is good especially for the EV-55 Outback in the 10 seat segment and then the Airvan 18 in the 18 seat segment, the Dornier CD2 Seastar and Frakes Turbo Mallard are long shots, while the F406 was always a niche aircraft that sold in very low numbers, and that will not change with a newly re-introduced model. In the end, all of the new programs are questionable, the success rate of new aircraft program launches outside of the main General Aviation OEM’s is VERY LOW and VERY RISKY, as it takes anywhere from a minimum of $75 to $125 million (depending on aircraft complexity) to certify a single/twin engine turboprop, then add in $25 to $50 million to start production and then the commercialization which requires a product with a wide market appeal, and none of the above (with the exception of Textron Aviation’s planned single engine turboprop) have all the factors for success, 1. lots of money 2. a widely appealing product that is ‘NEEDED’ and thus has a good value proposition 3. the right people from the top down, in management, certification, production, sales, marketing to product support. This why the majority of new programs as good as they looked, NEVER made to the market just look at the once over optimistic GA very light jet (VLJ) market (single engine jets with 5-7 seats), they are all gone except the Chinese owned (CAIGA) Cirrus SF50 Vision but gone are: Diamond D-Jet, Piper Altair, SafireJet, VisionAire Vantage, Century Jet, ATG Javelin, Comp Air Jet, Adam A700, Epic Victory, SportJet, Spectrum S-33, Stratos 714, etc. 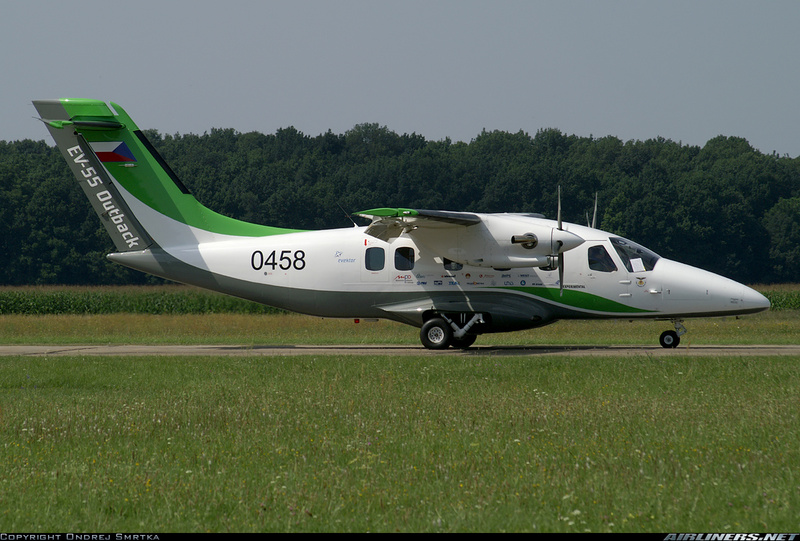 While Poland’s VLJ Flaris LAR01 is currently dreaming of certification as is the US Privateer amphibian turboprop, one has to have a lot of things in place to be successful with a new product launch, and then success is never assured unless you really know your market and I dare say few of the new comers really know their customer and market. Success in this industry is about having a good product (speed, payload, airfield performance, cabin size and good speed) combined with a price that allows commercial operators to make money with it. A commercial aircraft must make money for its owner, there is NO WAY except in very rare circumstances that a $7.5 million Viking Air DHC- Series 400 can make money flying passengers, hence it has mostly government airlines or agencies buying it, do the math and it would be too expensive. So the price point has to be viable for any commercial aircraft to make money for its operator. Thank you again for reading my blog, any comments always welcome, especially good ones ! cheers. « ABSTRACT: Bombardier may have its CSeries launch customer in newly re-branded Lufthansa Group owned Swiss Global Air Lines which ‘should’ get the aircraft by 1Q/2016 ? at the earliest, while Bombardier desperately tries to ‘re-position’ the Q400 as a viable ATR-72-600 competitor with a “secret new technique” of slowing it down for better fuel economy and trip costs ?? the Q400 is $10 million more expensive, it uses 104% more power (shp), therefore it burns 40% more block fuel, engine maintenance is more expensive on PW150 than PW127 so how can it be economically close to the ATR which out sells the Q400 by a wide margin even with deep discounting on the Q400, meanwhile experts say the CSeries needs to be discounted by 50% to get the needed BIG airline orders as that is what BIG airlines expect, welcome to the BIG league Bombardier where huge discounts (30% to 50%) by Airbus and Boeing are the norm rather than the exception which can be up to 65%, and you can’t win a price war against Boeing or Airbus, can Bombardier even afford to heavily discount now that break-even has to be 580+ units as the CSeries program cost grows to $5.4 billion from an initial $3.4 billion and production is planned at only 10 per month ? break-even is now 6 years of production, can it afford NOT to discount with sales still stuck at a scant 243 “firm” orders (some highly questionable) after 6 years and NO major US airline order in sight ? meanwhile Lufthansa Group’s Austrian Airlines takes 17 x E195’s over CS100’s just like Air Canada kept its 25 x E190’s instead of buying the CSeries last summer, both after a thorough cost evaluation, so what gives with the economics of the CSeries ? Learjet without the Learjet 85 has little to offer, a sale of that company should be considered, the ‘good’ news is that Bombardier successfully raised $C 868 million in new equity and $C 2.25 billion in high yield debt to bolster its liquidity problem.